It’s fairly well known among my friends, I think, that I bake as therapy. You could almost say that my motto is: when all else fails, bake a cake. I never pass up an opportunity to pull something together, and it takes very little encouragement for me to drag out my KitchenAid. I don’t think I’ve ever met a cake I didn’t like. 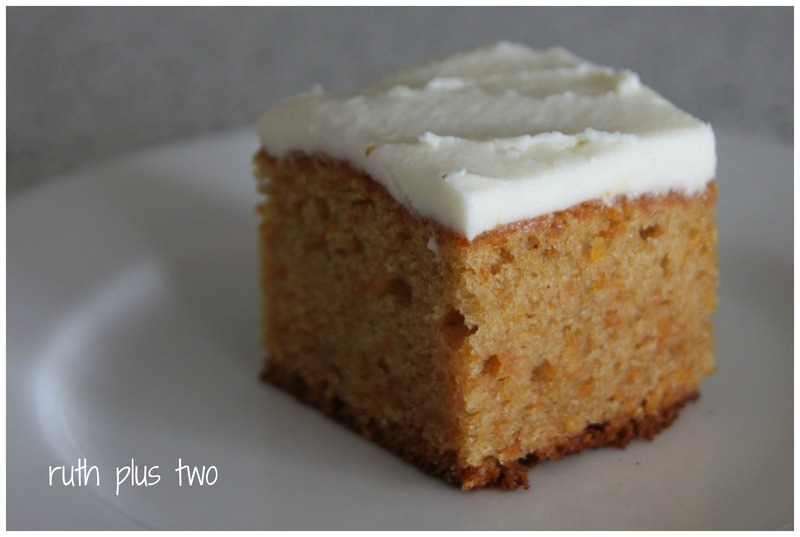 Unlike Lucy over at Attic24, I’ve never minded whether carrot cake is heavy or light. I think this recipe changes that. This cake is fluffy and light and utterly more-ish. It’s a big call, but I think this carrot cake is the best one I’ve tasted yet. 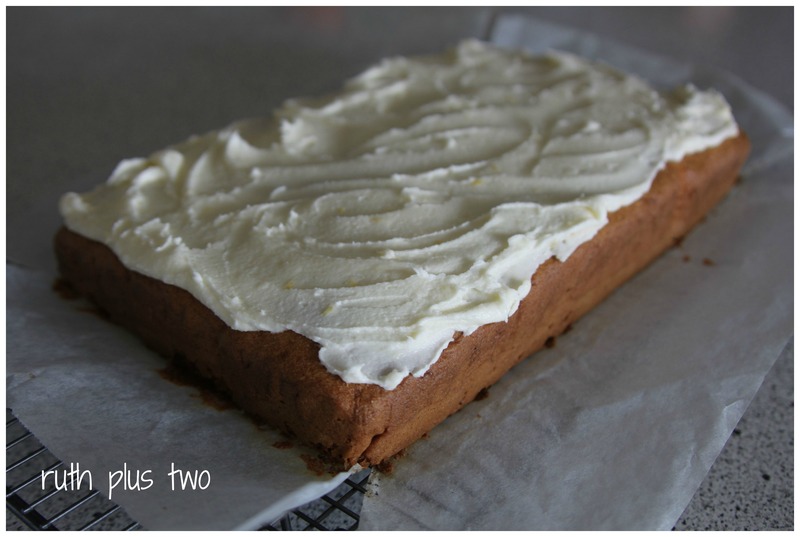 This gluten-free version of Lucy’s recipe (originally from UK flour company Be-Ro) comes with lemon icing, not orange. There are two reasons for this: I love the tang of lemons, and I didn’t have any oranges in the apartment! 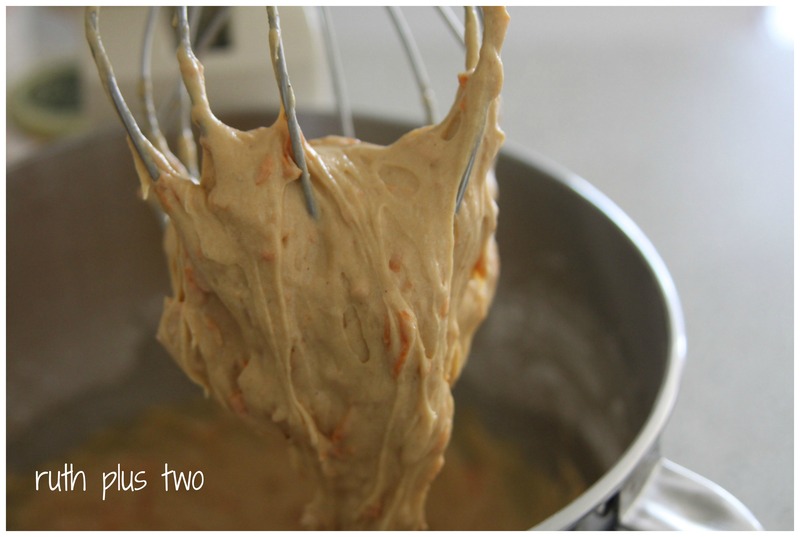 If you prefer orange icing, just substitute orange for lemon. See notes below for modifications to make this recipe dairy-free. Preheat oven to 180°C (355°F) and line an 18cm x 28cm (7” x 11”) lamington tin with baking paper. Sift together flour, baking powder and mixed spice. Add brown sugar and grated carrot and mix well. Add eggs, milk and oil and beat on high until well combined and colour lightens slightly. Pour into lamington tin and bake for 40 minutes until a toothpick comes out clean. Cool completely and ice. Melt butter, add other ingredients and beat until icing forms a good consistency. If icing is too dry or two wet, add more lemon juice or icing sugar as required. 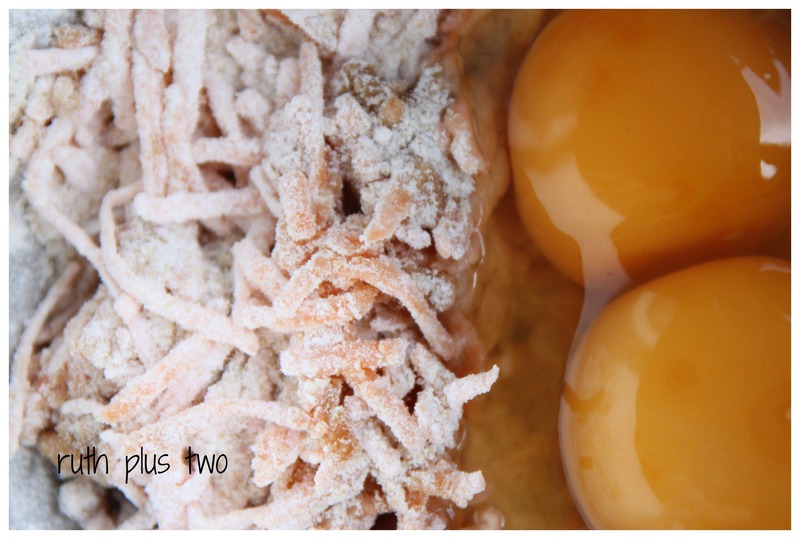 If you have no special dietary requirements, substitute the plain flour and baking powder with 225g self-raising flour. For a dairy-free cake, substitute the milk with a non-dairy alternative, such as soy milk, and use a non-dairy margarine in the icing – but just add it as is (don’t melt it). This entry was posted in baking, dairy-free, gluten-free, recipe, sweet. Bookmark the permalink. Yum. I bake Lucy’s carrot cake with my 3 year old. I love your lemon icing suggestion and will definitely try it next time. Sounds delish.